If you own a Mazda and live in Brisbane, chances are you’ll need some spare parts during the lifespan of the car (as is the case with all cars). Total Parts Plus is a Brisbane based car wreckers company which sources and sells quality recycled car parts for all the major brands of cars, including Mazda, Ford, Toyota, Holden, Hyundai, Mitsubishi and many more. Total Parts Plus are reliable and easy to work with – just give them a call or jump on their website to search for the part you need. They have been in the automotive industry since 1978 and have a long standing solid reputation with major suppliers and auto companies. 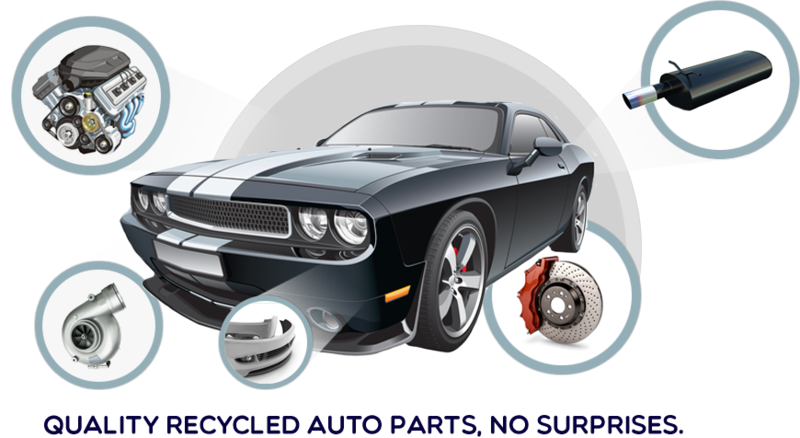 Total Parts Plus even backs up all car parts with a warranty, ranging from 90 days to lifetime. If you own a Mazda and need Mazda parts, Total Parts Plus is your one-stop shop for all reliable and quality parts. Total Parts Plus is proud to offer reliable, working parts with a fast delivery to get the part to you when you need it. Give Queensland’s largest specialist auto recyclers a call today to get your quality car parts sooner! Total Parts Plus Car Wreckers stock and supply quality auto recycled car parts for all makes and models of Asian (including Toyota, Mazda, Honda, Eunos, Mitsubishi, Nissan, Kia, Daewoo and Hyundai), European (including Mercedes and BMW) cars as well as a large selection of all Holden and Ford car parts. Whether you are a DIY or automotive businesses, you’re constantly searching for quality recyclable car parts that have been cleaned, tested and given a real warranty. Reliable car parts, quick turnaround, quality workmanship and guarantees are what helps automotive businesses compete successfully, keep their clients happy, while dramatically increasing profitability. We work primarily with panel, mechanical, auto-transmission and auto electrician workshops and suspension and brake specialists. Call us on 1800 820 054 (free call) today! Our customers that have implemented this approach are receiving fast guaranteed delivery, with your choice of warranty on all car parts and labour and decent service they can depend on. Total Parts Plus has been working with automotive businesses since 1978 to ensure the right advice, quality car part and service is given every time. We’ve worked with some of the largest automotive businesses in Queensland and Northern New South Wales. We have a solid record of success that proves our solutions to your car parts problems works. It can work for you as well. We are proud to be a preferred supplier to the Capricorn Society so just simply give us your Capricorn member number when ordering a car part. Please browse this website for detailed information on how your automotive business can become more successful. And make sure you try our ‘Total Parts Locata’ – it will save you time!